In this installment, we'll offer some tips that will simplify your life when mastering. The first advice we can give you is to work in pairs: One who mixes and one who masters. That's the best way to keep your compositions "fresh." The person who mixes a song will hardly be able to stand back and approach it from the delicate perspective of mastering. Finding a partner is not an easy task. But don't forget that the AF community is made up of thousands of people who share the same passion for sound. Why not take advantage of it by means of an exchange in good faith? You have nothing to lose and the outcome may surprise you, in a positive way. If despite everything you insist on doing everything yourself, think about dividing the tasks. There's a time for mixing and a time for mastering. You should especially avoid applying any mastering processing during mixdown. It is as counterproductive as can be (*). First finish your mix until you are happy with it, make a stereo rendering at the highest possible resolution, and only then start a new session dedicated specifically to mastering with these files. In the best-case scenario, you should take a week or two before mastering, in order to let your mind rest from the mixing sessions and approach the mastering task with a more neutral perspective. One last, but not less important, point: When you are mixing, think about leaving some room for action in terms of dynamics during mastering. To be more precise, that means having no peaks that exceed -6 dBFS and a RMS level oscillating around -18 dB. That ought to be more than enough. *Don't put words in my mouth: I am not against processing the master bus of a mix, quite the opposite! I insist on that point because it's done from a mastering perspective, when you are supposed to be mixing. A word on listening now. 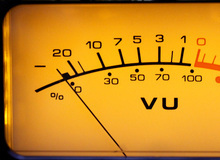 To mix correctly, it is indispensable to know perfectly well how your monitors sound in the place you mix, but it is even more important when it comes to mastering. To learn more about this, we encourage you to read a previous article we wrote on that subject. On the other hand, human hearing has an annoying tendency to get used to anything really fast. In order to "reset" you ears, listen to a reference song of your choice from time to time, preferably a song whose style is similar to the one you are working on. Finally, do I really need to repeat the importance of taking pauses regularly to avoid ear fatigue? Consider from five to ten minutes of rest every hour. Despite this advice, you will still need to go through long listening tests with different systems to make sure that the result is up to your expectations, regardless of the situation. It is impossible to be absolutely sure that your master sounds correctly outside your place, unless you have a room acoustically treated by a specialist, in which case this series of articles is not for you! In short, once you are satisfied with the mastering, listen to it on as many systems as possible: Your car, Hi-Fi system, MP3 player, TV, home-cinema system, etc. And if a detail bothers you, don't hesitate to get back to work until you are fully satisfied. True, it's a long and winding process. But after all, time is on your side, unlike with professional mastering services, so make the best out of it! 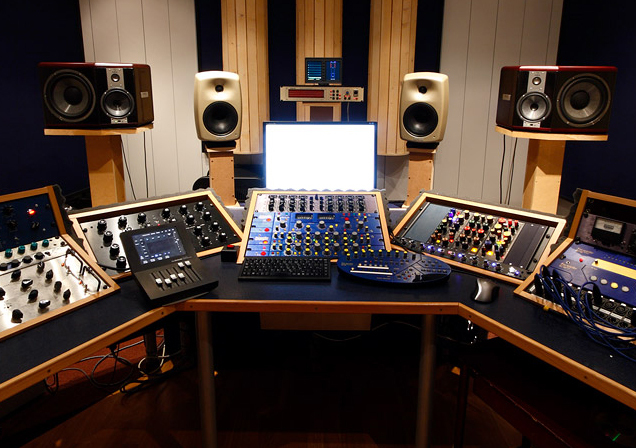 In our next article we will offer advice for the mastering session, itself.